You've been looking, lurking, trying some samples. Does the word business sound scary? Don't think you have the support of friends and family? It's OK! No one is under any pressure here. It's your business. You can be any kind of consultant you want. Personal, Social Seller or Business, or a combination of all. Just ignore the word business. 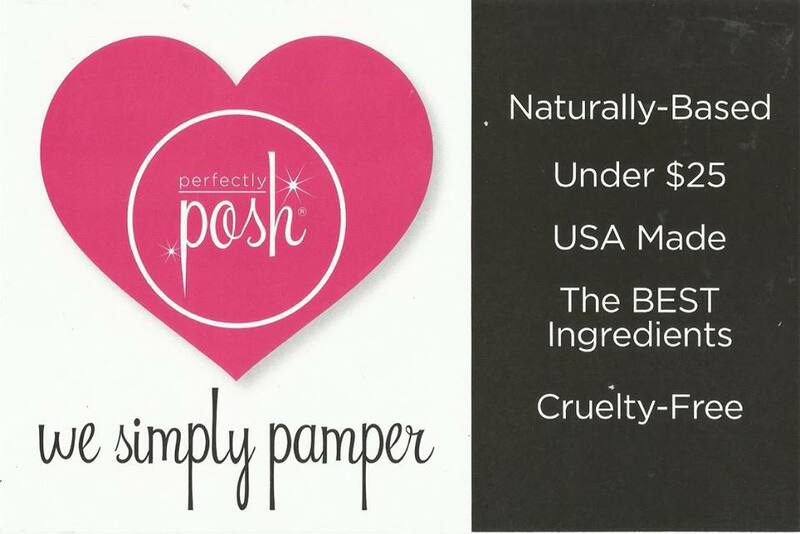 Let's get you some pampering products that you can use, share or sell. The end. 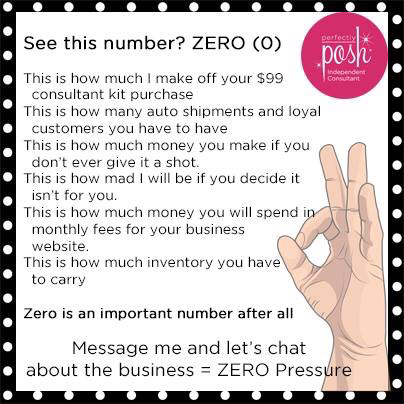 You have 2 requirements: the $99 ($250 value) Kit and to sell or purchase $300 in a 6 month period. There are no website fees or monthly quotas. 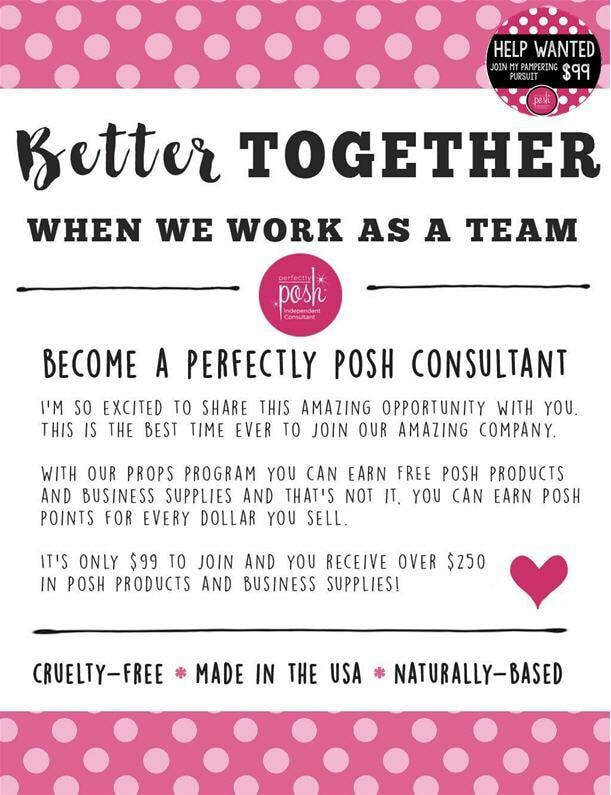 There is an interesting calendar that Posh uses, I will post it when I find it again. It's really not something to stress over. ​You actually get longer than 6 months in most cases. You can watch a short video and learn more. I am open to any questions you may have. www.perfectlyposh.com/angelasglam/join My info is: Angela Harrington (Michigan) no you do not have to be from Michigan, Just the USA. and my consultant number is 15293.